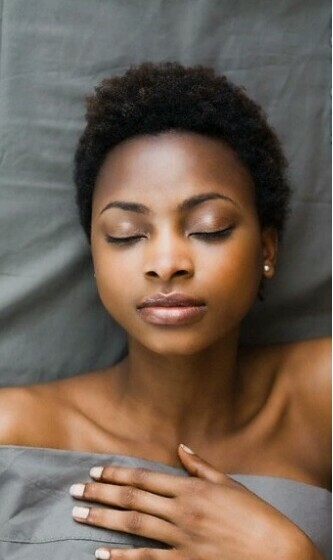 Why is sleep so vital for the healthy growth of our hair and overall body functionality? Sleep is a basic need that is crucial to the quality of our livelihood and can often be taken for granted. Adequate sleep is needed to fight off infection, maintain the body’s metabolism and it keeps our mind healthy and alert. The body actually needs sleep in order for survival and the lack of sleep can have many detrimental effects such as depression, weight gain, irritability, lack-luster skin and impaired judgement. The required hours for sleep vary per individual, with the average falling between 7 to 9. With plenty of quality rest, the process of renewal, rejuvenation and healing can occur successfully. Remember, the body’s goal is to keep us alive and functioning, if there is a lack of sleep, this causes poor health, and the body will then divert its attention to the most important issue at hand, our vital organs that are necessary for life. This simply means that hair growth and health will become secondary. So it is truly the lack of sleep that can create a negative effect, and environment for hair, stunting healthy hair growth. Invest in a satin pillow, and try to reduce stress before sleep. I do this by meditating with my favorite tunes, practicing yoga and completing a series of stretches before sleep. I also drink a glass of water before rest as it always seems to help me to relax as well. Do yourself a favor and give your body the quality sleep it deserves and in return it will grant you repairing, restorative, and revitalizing properties for great hair health as well as overall body health.